Worms is probably one of the most famous games in the industry, however, not all players have played it. This is your chance to fill the important gap and play it now. Launch the game and choose the gun among the huge variety of weapons and destroy the opposite team! No need to explain a gamer what the Worms is. Everyone is familiar with the game and it has become classic already. The game is complicated and simple at one time. 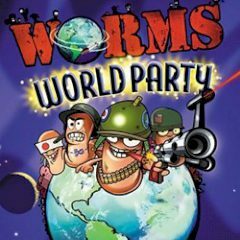 You have two squads of deadly worms that have a huge variety of weapons. There will be only one team to survive this and it's up to you to decide. Kill the opposite team and become the winner!